You are here: Home/ News/ Still in it after Phase 2! Last Sunday was a rather special occasion in that Kerry hadn’t played too many Championship games in Ulster. In fact, the last time was in 1933 when Cavan beat us in the All Ireland semi-final. Compliments to Monaghan GAA who did a superb job hosting the fixture and St Tiernach’s Park, Clones proved to be a top-class venue. The game was a joy for all neutrals but Kerry Fans experienced a range of emotions throughout the 75 minutes! At 70 minutes, it looked as though our Championship hopes had come to an end but then came the pass from James to Kieran, the brilliant block down from Kieran and the sublime finish by David to level the game. There was a possibility that we could have won the game but that perhaps would have been undeserved. Kerry improved on their previous week’s performance against Galway and came out showing hunger and fight in the second half. Our younger players really stood up and were not fazed by their Ulster opposition. Éamonn Fitzmaurice announced two further changes before throw-in and the introduction of Kieran Donaghy brought superb leadership and vision to the Kerry side. We did struggle in some quarters but a draw gave us an invaluable ‘point’ in Group 1 of the Super 8s. We are still in the Championship but our destiny is no longer completely in our hands. We need to beat Kildare at home in Killarney and we need Galway to beat Monaghan. That would put both Kerry and Monaghan on 3 points and then it comes down to scoring difference! But the hope is still there that we can finish in second place in Group 1 and that would set us up with a semi-final against Dublin. But let us not get ahead of ourselves and our focus is now completely on playing Kildare. We cannot influence matters in Salthill so it is best to focus on winning our own game. Our game against Kildare throws in at 6pm in Fitzgerald Stadium. Kildare can’t qualify for the semi-finals but they will be playing for pride and the desire to finish third in the group. Tickets are currently on sale online at tickets.ie, in the Kerry GAA Store Killarney and in the SuperValu and Centra stores around the county. Adult tickets are €25 and Juveniles are €5. Student/Senior citizen tickets are available on the day. There will be no concession stile. Seating is not allocated so those arriving earlier will have the access to the seats in the stand. Match programmes will be on sale for €5 with a percentage of the sales going to the Fitzgerald Stadium Committee for the maintenance of the grounds. The gates will open at 4.30pm and as always we ask Patrons attending the game to follow the instruction of the stewards and to avoid parking in residential areas. The team will be announced on the Kerry GAA website on Friday week at 8pm. 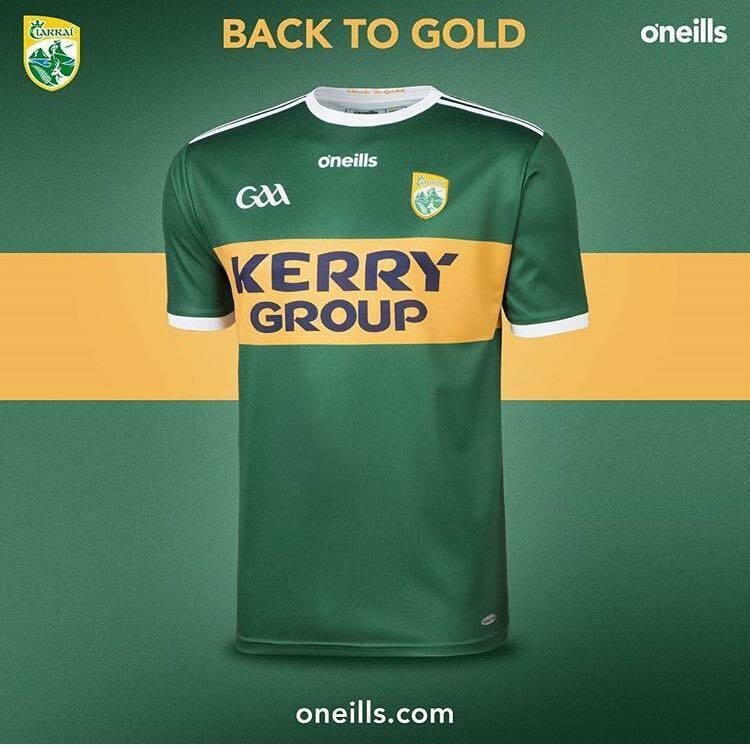 For last minute purchases, the Kerry GAA Store in Killarney will be open for business right up to throw in time so it gives all fans the opportunity to proudly wear their colours!